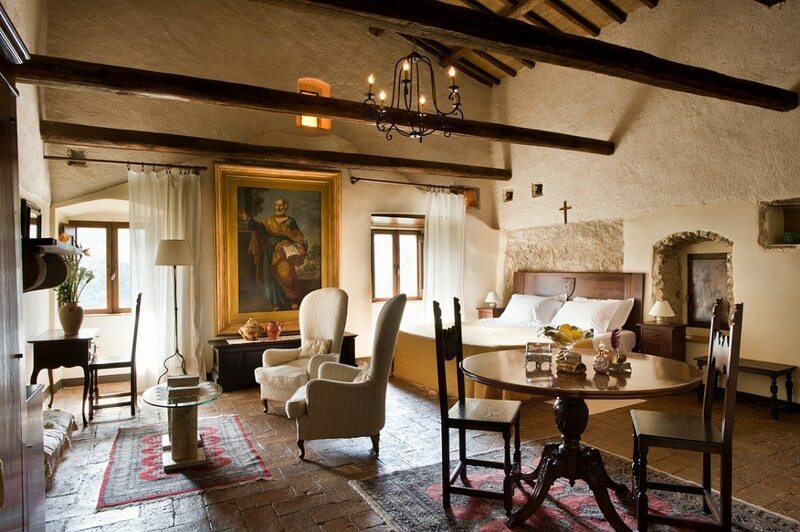 It is probably the most beautiful room of the abbey. 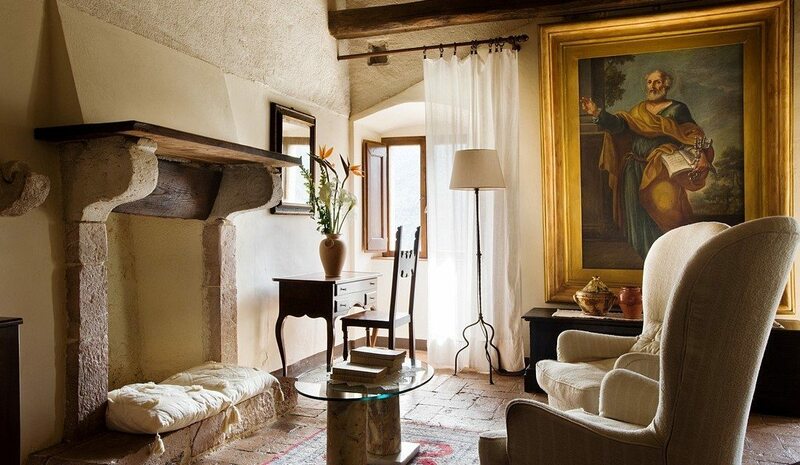 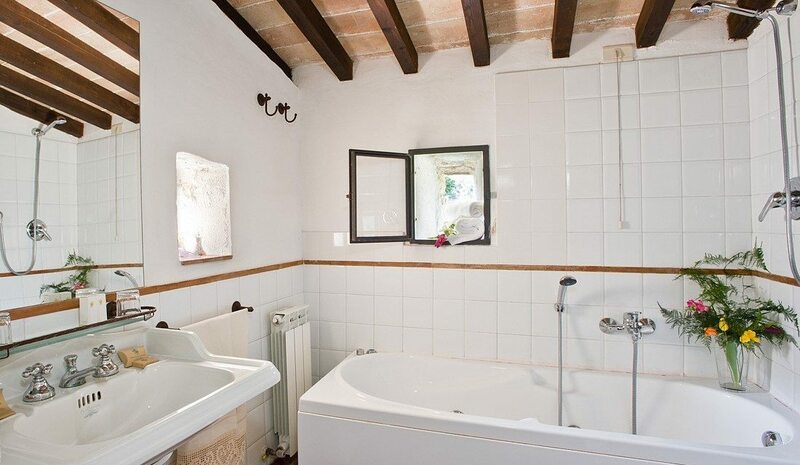 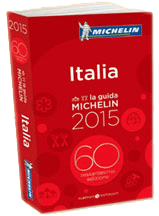 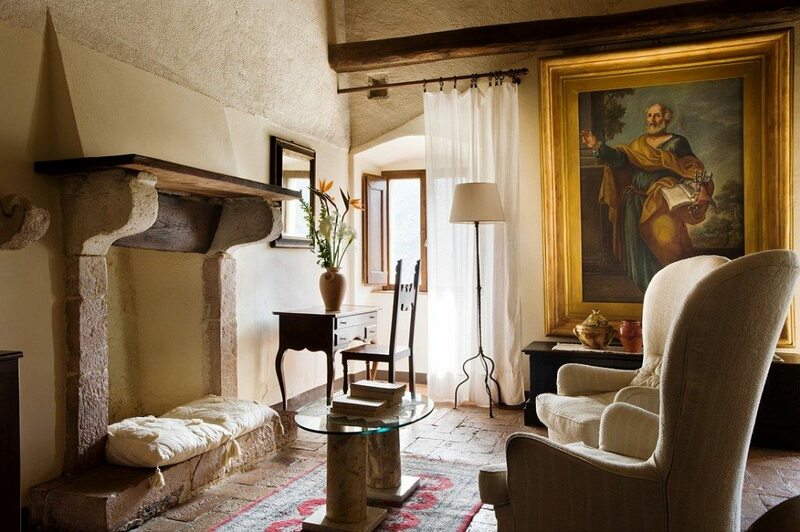 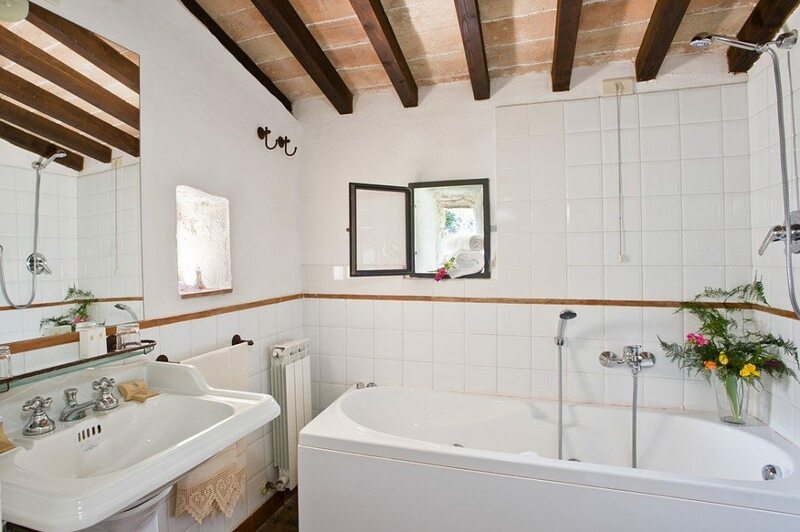 It offers well-lit windows overlooking the valley and the village of Umbriano. 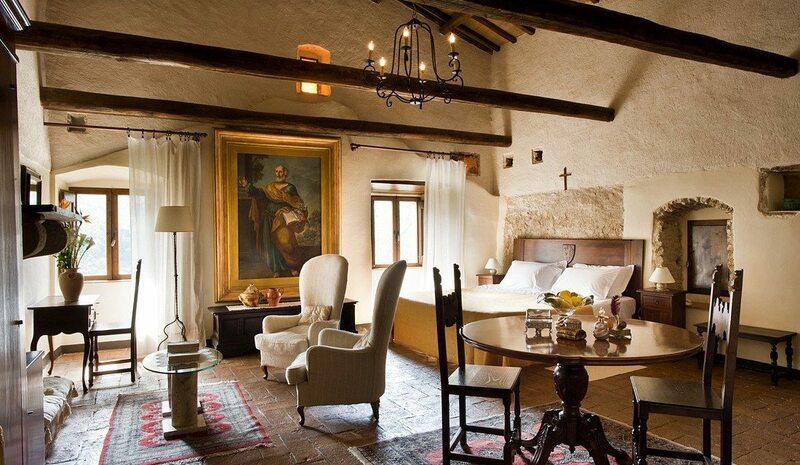 It’s a junior suite with a high ceiling and big wooden beams; it’s embellished with a big 16th century painting depicting St. Peter.